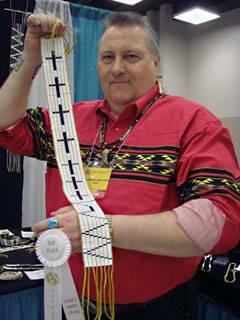 This beautiful necklace was created by Native American artist Don "Standing Bear" Forest. 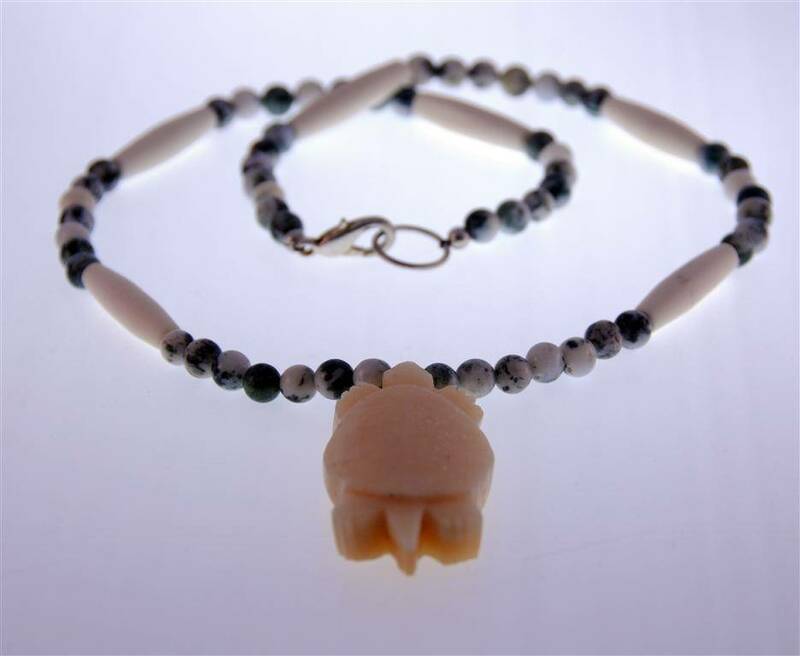 It has a hand carved turtle made from moose bone that adorns a beautiful necklace made of tree agate beads and buffalo bone hair pipes. This is a one of a kind piece. 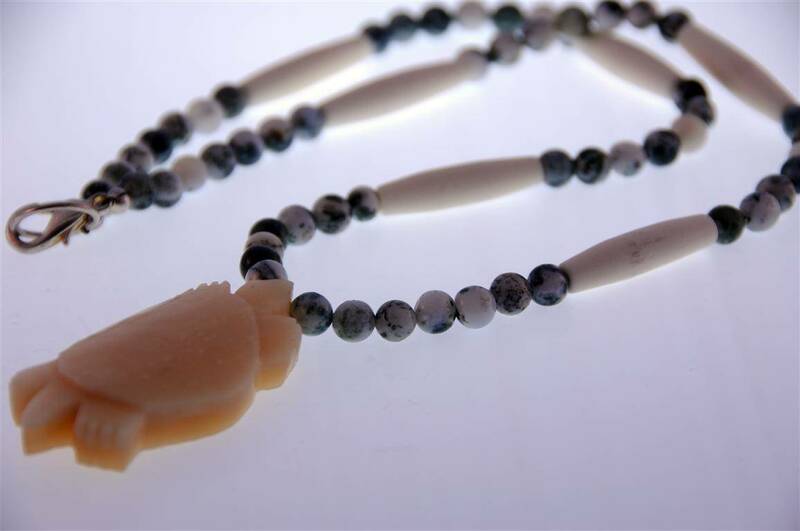 The length of this necklace is approximately 22 inches.